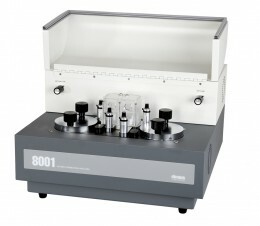 Systech Illinois specialises in online, portable and laboratory gas analysis equipment. We are a multinational company with offices and gas analysis equipment manufacturing facilities in the UK and the U.S. With 30 years as one of the leading experts in gas and moisture measurement, Systech Illinois’ application and technology knowledge provides efficient gas analysis solutions in many industry sectors worldwide. The headspace range offers fast, easy to use, accurate gas analysis of gas flushed food packages and headspace analysis of any kind. Systech Illinois headspace gas analyzers can be used effectively with packages of all sizes and there are portable and waterproof versions available. 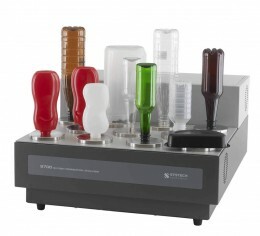 Systech Illinois’ range of oxygen permeation analyzers and water vapor permeation analyzers offer precise, accurate measurements for all packaging film, finished package and PET bottles. Systech Illinois’ range of oxygen analyzers provide measurements from trace ppb levels up to high percentage levels. Available in wall mounted IP66-rated, benchtop and rack mounted versions, our oxygen analysis equipment includes intrinsically safe units for process uses. The EC900 oxygen analyzer uses electrochemical cell, the ZR800 oxygen analyzer uses zirconia oxide ceramic, and the PM700 oxygen analyzer uses paramagnetic technology. For analysis of moisture the MM500 moisture analyzer uses phosphorous pentoxide and the MM400 moisture analyzer uses aluminium oxide, to measure from as low as 0.01 to 1000 ppm, or in dewpoint °C or °F. Systech Illinois’ moisture analyzers are panel, bench or wall mounted in a weatherproof cabinet, or rack mounted. Systech Illinois’ 542 thermal conductivity analyzers come pre-programmed to monitor common combinations of measured and background gases. For hazardous areas, the EC91 Intrinsically safe analyzer is for use in EEx ia IIC T4 Zone 0 areas and EC92DIS ATEX approved portable analyzer is for use in Ex ia IIC Ga T4 Zone 0. 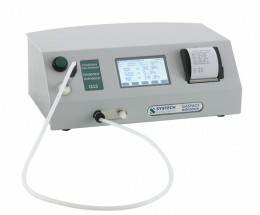 These instruments are capable of measuring both ppm and percentage levels of oxygen. To see a snapshot of our gas analysis capabilities, please visit our case studies and technology notes. Systech Illinois’ goal is to operate in finite business sectors where we will be recognised by our customers as experts on the supply of gas analysis instrumentation. The company believes that it is only by having a well developed and well trained workforce, with established and effective procedures, that we shall be able to offer our customers a continuing high level of service.